Do I need to screen in my porch in Charlotte, NC? For years, everyone felt the need to screen in their porch in the Carolina’s. 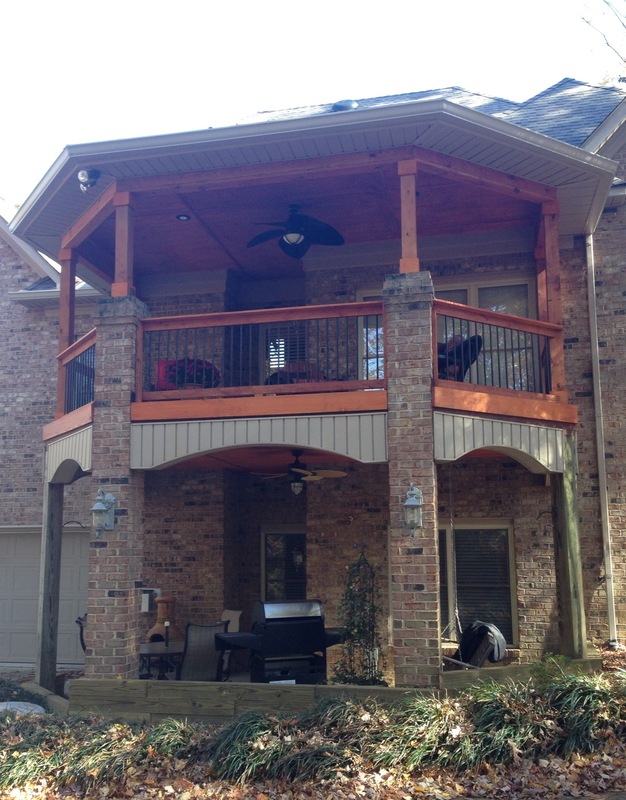 More and more over the past 3 years, we have seen a shift to what we would call “open porches” or covered patios or covered decks. These are basically the same structures with a roof and columns but one has a screen with a screen door and the other does not. Why the trend to open porches? First and foremost, people like an unobstructed view. The fact is, most screen porches require more vertical posts than open porches to connect the screen to. When an open porch is designed, you can get away with fewer columns and they tend to be more substantial or wider columns. Often times when there is no screen, we use various decorative trims on the columns that don’t work as well when you attach the screen. By installing larger ceiling fans, many times you can achieve the goal of the screen. The blowing fans tend to bother flying insects and they tend to stay on the perimeter. The advent of mosquito repellent companies, such as Mosquito Squad in Charlotte also plays a factor in enabling a homeowner to keep their covered porches open! To see great screen porch and open porch designs, go to archadeckofcharlotte.com. Lake Norman is one of the largest lakes in the Carolina’s. Situated north and west of Charlotte, NC, it is hundreds of miles of shoreline with the perfect blend of privacy and happening areas. There are small coves that are great escapes, active boating and fishing areas, and gorgeous lake front homes that rival any wonderful beach front properties. With all of the development of these homes on and around the lake, the residents want to enjoy Carolina’s ideal year around weather and be outside more and more. Even those with more modest homes are investing in grand outdoor living spaces. The spaces typically include a deck, a patio, a screen porch, an outdoor fireplace or fire pit, and elaborate outdoor kitchens. The biggest growth seems to be in shade structures where you and your guests can be outside comfortably with a ceiling fan under the covered porch or patio and protected from the hot sun. The designs are endless and with the expanded growth in demand for outdoor living around Lake Norman, the features continue to push the envelope with all of the amenities we are accustomed to inside being designed and built for the outdoors! 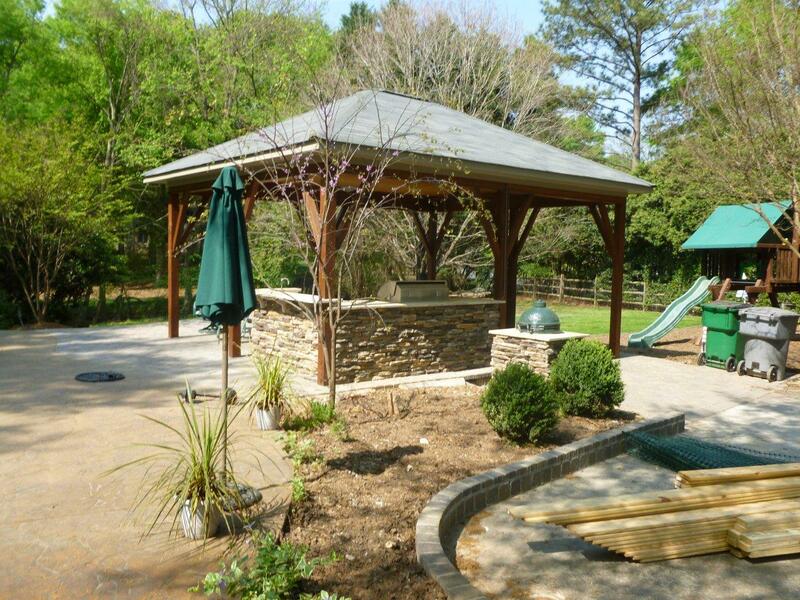 Go to http://www.charlotte.archadeck.com to see great Lake Norman outdoor spaces. Need a pool pavillion design? Since 2012, there has been a dramatic rebound in the new pool building business here in Charlotte, NC for single family homes. This is a great sign the economy is rebounding and people are investing in outdoor living with disposable income. They are not stopping with just the pool itself though. With the explosion of outdoor living concepts and the expanded movement of people moving from the inside to the outdoors for the home relaxation, everything from outdoor kitchens to fire features are part of the design. Pool pavilions are being built now fairly regularly and people are not even waiting until the next season after the pool is built. They want what the want and they want it now! Pool pavilions are often a combination of a shade structure, restroom, changing room, grilling area, and outdoor home theater. 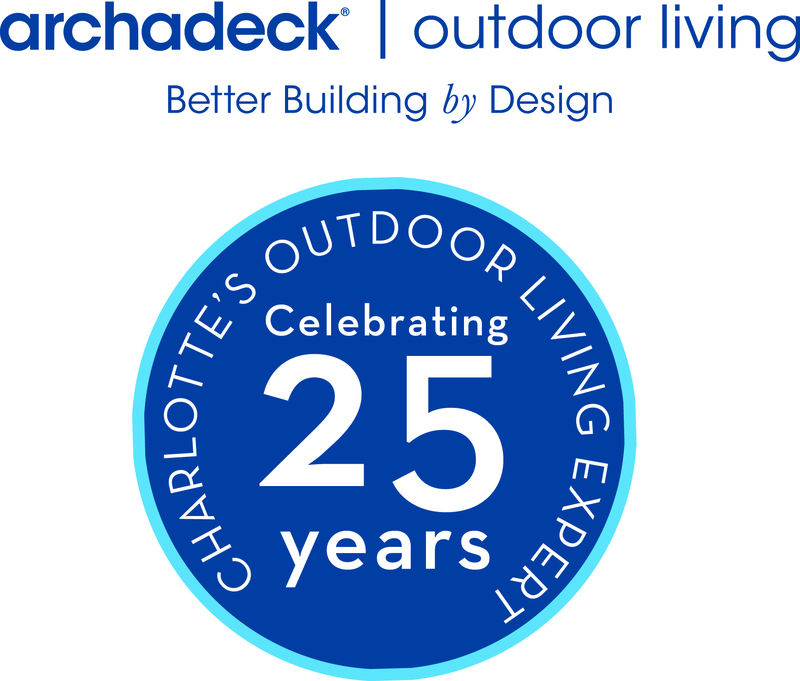 Archadeck of Charlotte gets asked to design and build pool cabana-like structures all over the greater Charlotte market. The considerations are roof design, column style and material, ceiling materials, and of course the above mentioned features. If you are in the market for a pool cabana or pool pavilion, check out the designs at http://www.charlotte.archadeck.com or go to HOUZZ and see various design ideas for the outdoors! Lake Norman is one of the largest lakes in the southeast. It offers hundreds of miles of shoreline, beautiful greenery and landscape, custom designed homes, all of the watersports and fishing imaginable on a lake, and the best of outdoor living spaces and designs! 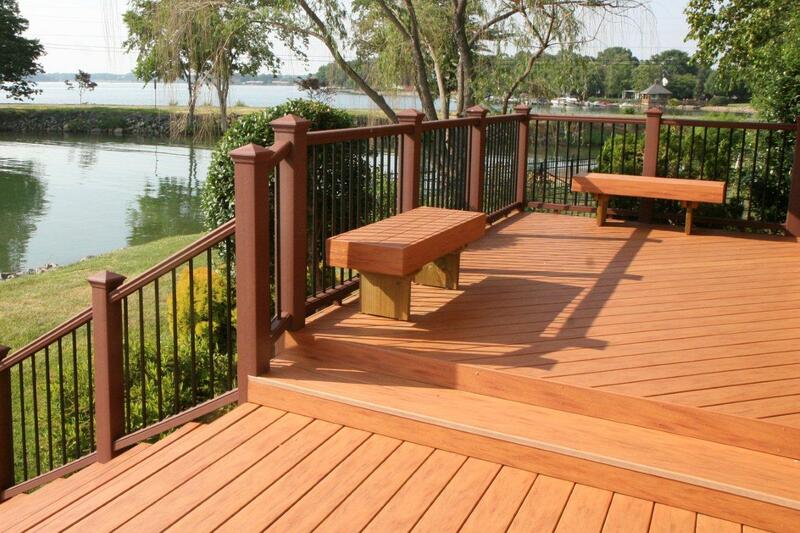 Some of the most beautiful design ideas and architectural integration comes from Lake Norman homeowners and at Archadeck of Charlotte, we are heavily involved in the design/ build phase of the outdoor spaces. Most people have trouble visualizing what something might look like or what the possibilities are to enhance their backyards. We start with the homeowner’s wishes and concepts and bring them to life through 3D computer-aided design renderings to scale so that prior to building the structure, the homeowner can actually see how this will look on their exact home. It gives the homeowner the unique opportunity to make major or subtle changes to the design and giving them a great understanding of how this will impact not only the overall look of the project but also the cost. From Mooresville, Cornelius, to Huntersville, Lake Norman has grown immensely over the past 15 years and more people are finding the outdoor so desirable that they are adding onto their homes rather than moving just to stay in the area. The schools are improved and the choices have improved. 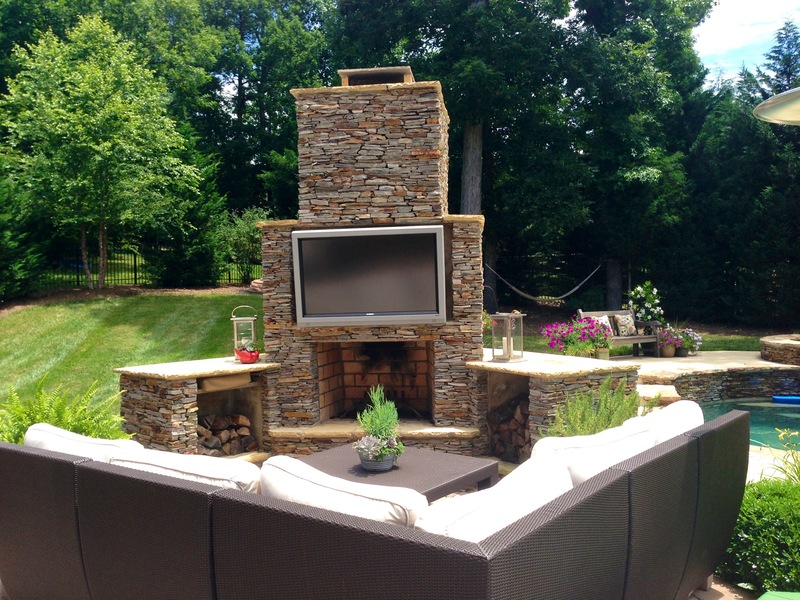 Outdoor TV’S…what do I need? With evolution in Charlotte, NC and the surrounding market moving even at a faster pace from the inside of their home to outdoor living, there are more and more features that people want to enjoy outdoors. A fast growing one is outdoor TV’s. The leader in the category of outdoor televisions is Sunbrite , they practically own the category. The question is, do I need an outdoor rated TV or not if I cover the TV with a roof? The answer is…it depends. The advantages of the outdoor TV is the equipment is literally built to withstand the elements of hot or cold. In addition, the non-reflective screen keeps the glare off and allows you to see a perfect picture even on a bright and sunny day! What are my best options for shade structures in NC/SC? 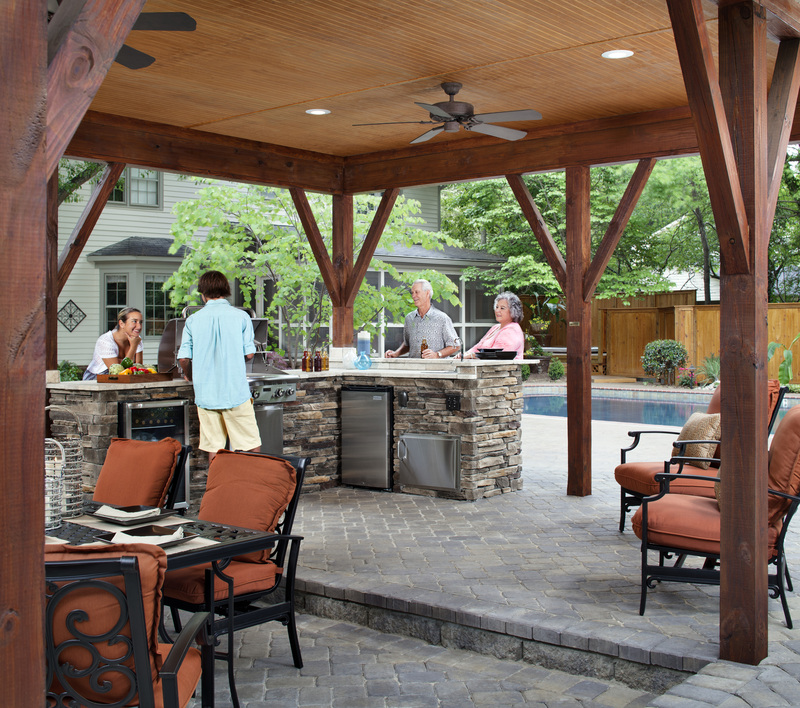 Most people in the Carolinas at some point are looking for shade options for their backyard. 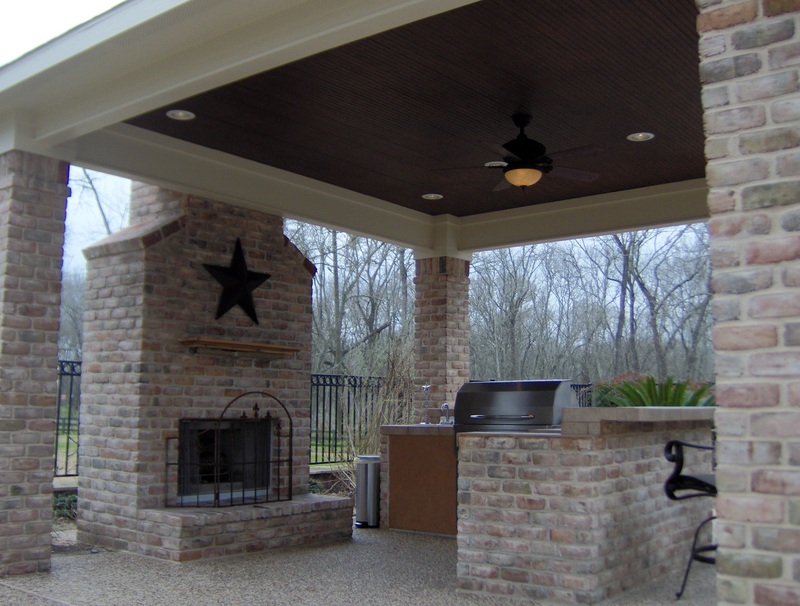 Whether it is to cover a patio, cover a deck, or even an outdoor kitchen, people want protection from the elements. There are many options to achieve this depending on budget, architectural concerns, and size. Pergolas, arbors, and trellis’ are words often used interchangeably that are relatively inexpensive options to provide some shade. 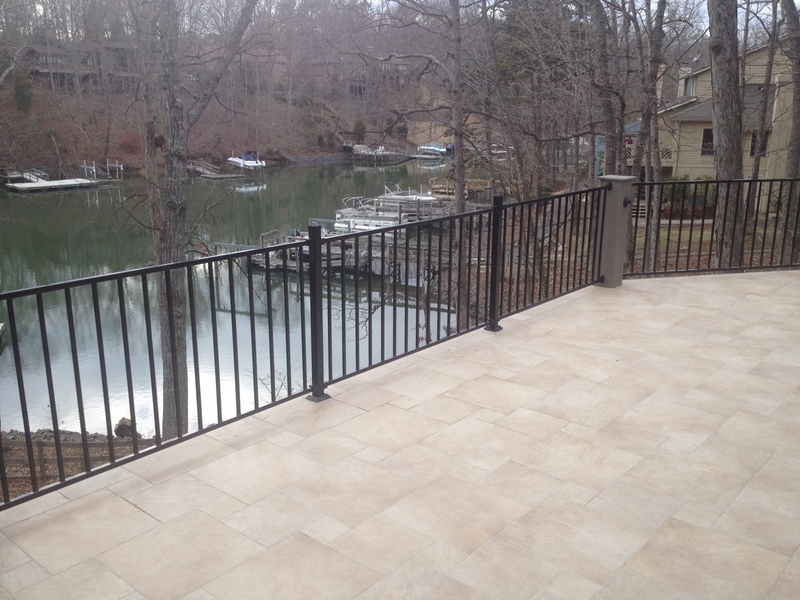 They are generally custom built in materials that range from wood to vinyl. They are not rain resistant but can be with the appropriate covers that are now available on the market. You can purchase fabric for the top of the pergola, aluminum ceilings that install under the rafters, and even polycarbonate roof sheathing that allows lights into the structure but does stop rain from coming through. Retractable awnings provide wonderful shade protection and are available in a wide variety of colors and sizes. Solid roofs or what we refer to as covered patios or covered decks (“Open Porches”) are going to be more expensive but ultimately provide the most protection from all of the elements. They can be designed and built with matching roof shingles to your home, matching gutters, and matching soffit and fascia that will make the cover to appear to be a natural extension of the house!